Polynesian Resort Hotel at Walt Disney World; opened on October 1, 1971. The hotel is one of the two original Disney hotels on the property, and features lush vegetation filling much of the lobby in the Great Ceremonial House. 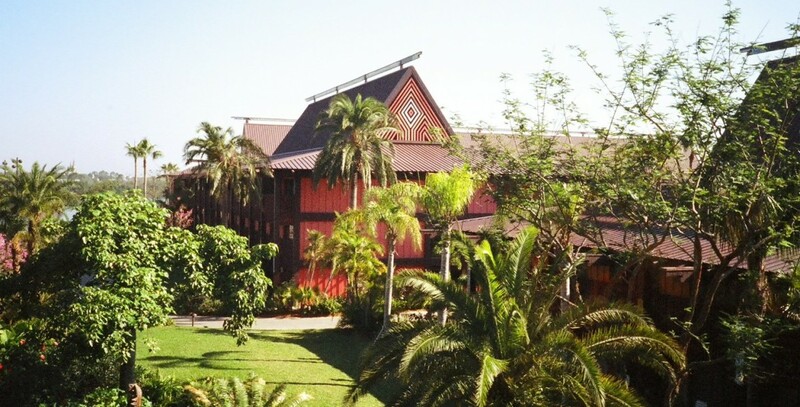 The hotel rooms are in several longhouses, named for Pacific islands, such as Samoa, Oahu, Bali Hai, and Tonga. The Monorail stops at the hotel, making it convenient to get around. Perhaps because of the South Seas theme, the hotel seems more restful than some of the others. On April 1, 2015, a Disney Vacation Club area, called Polynesian Villas and Bungalows, opened. There are 20 Bungalows, sleeping up to eight guests, and 360 Deluxe Studios.